EA and Dice are working at a feverish pace to ban cheaters and boosters in Battlefield 3. According to multiple tweets on the game’s official Twitter page, the team has already banned and stats-wiped hundreds of accounts this week and they don’t plan to show mercy anytime soon. Those in charge of Battlefield 3’s Twitter account are encouraging gamers to take screenshots of a suspected booster’s Battle Report as evidence when submitting a complaint. Twitter followers are being asked to send a DM (direct message) to @battlefield with a link to said Battle Report. Alternatively, users can visit Origin’s help center to report cheaters. One of the more recent boosting techniques involves misuse of the repair tool as an engineer to gain tens of thousands of points in a single game. Such boosting would be extremely obvious to other players at the Battle Report screen and if reported, would likely result in a stats-wipe. A separate tweet tells us that a patch is in the works, but as of right now there is currently no ETA for it. The patch is also said to reduce the intensity of tactical flashlights which are deemed by many to be extremely overpowered. 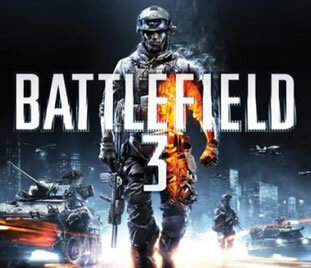 A multiplayer beta for Battlefield 3 was launched in late September that allowed gamers to play Operation Métro on the game type Rush. The beta was subsequently hacked just days later to allow user to host their own servers and unlock alternate game modes and features.